RBSXTG-5HPacD-HG is end of life (EOL). MikroTik recommends RBSXTsqG-5acD for direct replacement. The new High Gain version of MikroTik's popular SXT G 802.11ac model, equipped with an improved 5GHz 17dBi 24 degree antenna, Gigabit Ethernet port and RouterOS L4 license. Like all SXT units, this is a neat and compact outdoor device that comes with all necessary accessories included. 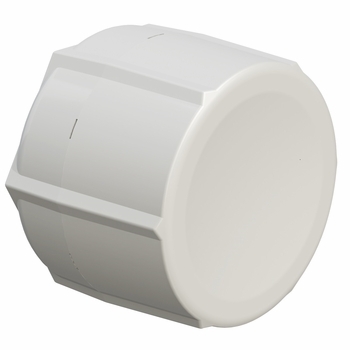 Use it as a wireless AP, for point to point, or as a CPE unit. 802.11ac technology provides data rates up to 866Mbit, but is also backwards compatible with 802.11a/n. The SXT HG supports 10-57V 802.3af/at and passive PoE power input.